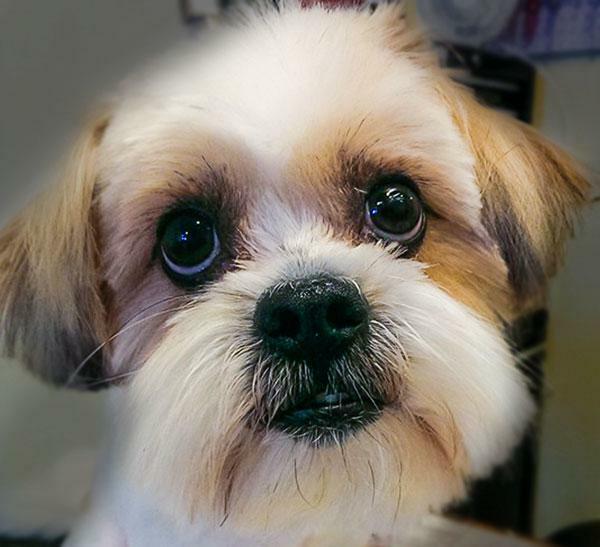 Casper's Pet Grooming - Friendly affordable pet care for over 30 years! 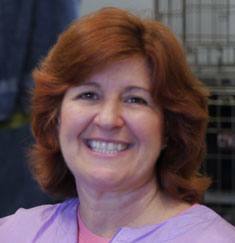 Over 30 years in business caring for your pets! NW corner of 51st Ave. and Peoria in the Sprouts Shopping Center. *We are open until 3p.m. or later, call before 3p.m for availability. We will return messages first thing in the morning. Hi, I’m Sandy, your all needs incorporated pet grooming guru! I’ve owned and loved animals for my entire life. 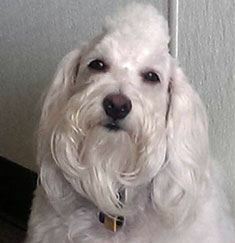 In fact, when I was just 12 years old, my family had as many as six dogs at one time (one Doberman, one Schnauzer, and four Poodles). Nobody likes a dirty doggy, and as you can imagine, it got pretty expensive for my family to pay for professional groomers once a month for all six of our dogs. So, in order to save time and money, my Mom and I started to take care of our animals and their grooming needs at home. We found out that not only did we love working with these furry family members, but we were pretty darn good at it too! As a result of this discovery, my Mom made the important decision to officially enroll in dog grooming school in 1972. There she learned the skills that are so vital to an animal’s health that cannot be provided by a simple bath at home. It is important to me that this approach and these skills are still the hallmark of Casper’s Pet Grooming to this very day. In 1976, Mom was ready to branch out and start her own grooming business. She became so busy that she eventually needed a “bather” to help with her heavy workload. Even though I was young and I would love to have been able to sleep in on the weekends, I finally decided to go to work with Mom, and since then my life has never been the same! Mom taught me all that she knew about animal care, and together we continued to hone this art while expanding our business and practice. 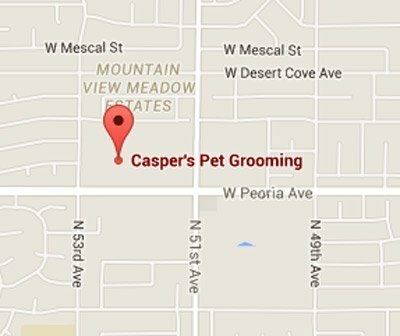 We officially opened Casper’s Pet Grooming in 1983 when we moved from Boulder, Colorado to sunny Phoenix, Arizona. It’s sometimes hard to imagine, but we’ve been making our four-legged friends clean and happy for almost 33 years now! During that time, we’ve moved our location a few times, and Mom is now helping me out instead of the other way around (after I officially took over the business), but the high standards and the strong work ethic that she instilled in me is the same now (and even stronger) as it was when we first set up shop. I love what I do here at Casper’s Pet Grooming, and I would love to have a chance meet with you and your pet to share my skills with your family. *Ask Sandy about Casper’s optional deep clean services. This is an excellent way to keep your pet’s mouth healthy and happy, and to eliminate bad breath and even pain or discomfort. Casper’s offers this service as an alternative to expensive vet bills, and can provide a variety of products to help ensure your pet’s continued oral care and disease prevention. *Casper’s is proud to provide an array of hygiene selections that will be suitable for your pet’s individual needs. Currently, we offer a variety of hypoallergenic products including oatmeal, aloe vera, medicated boost for flaky skin, and bluing shampoo to make dogs with white coats shine their brightest! Each cleaning at Casper’s comes with a complimentary bow or bandana for your pet. And, for holidays or other special occasions, feel free to inquire about Casper’s signature line of designer and custom bows… because your pet has their own personality, and they should feel free to express themselves! 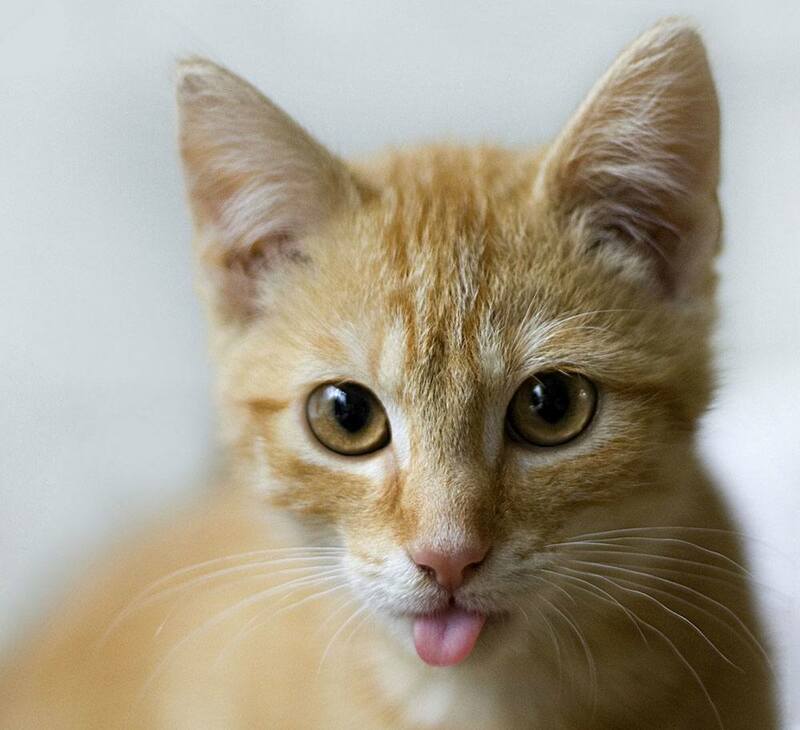 Casper’s is proud to provide an array of hygiene selections that will be suitable for your pet’s individual needs. Currently, we offer a variety of hypoallergenic products including oatmeal, aloe vera, and medicated boost for flaky skin. Each cleaning at Casper’s comes with a complimentary bow for your kitty. And, for holidays or other special occasions, feel free to inquire about Casper’s signature line of designer and custom bows… because your pet has their own personality, and they should feel free to express themselves! "Trust in the Lord with all your heart. Lean not on your own understanding, in all your ways acknowledge him and he will lead your path straight." 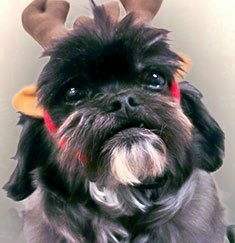 As the matriarch and founder of Casper’s Pet Grooming, Marge continues to fill a variety of roles and services for her friends and clients. 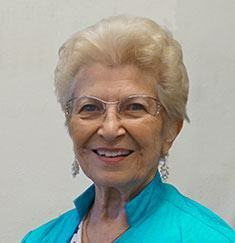 Currently, Marge works weekends and often fills in when the salon is experiencing a high volume of clientele. As the salon’s official namesake and mascot, Casper has a variety of important roles that he fills on a daily basis. He personally welcomes all customers as they walk in the door, and he is sure to offer a friendly bark to let staff know when they have a client waiting in the lobby. Casper also retrieves mail from the mailbox, enjoys long walks in the park, and the occasional afternoon nap. Not to be outdone by the strong work ethic of Casper and the rest of the staff, Amy can be seen helping with the greeting duties of the salon, and making sure that all clients are happy and well-attended to. She is a constant companion and quality control specialist, and she helps with order fulfillment by ensuring customer satisfaction and outreach. Come meet our team today! Contact Casper's Pet Grooming Today! *We are open until 3p.m. or later, call before 3 p.m for availability. We will return messages first thing in the morning.